A brown bear (Ursus arctos) sits in long green sedge grass. The low tide provides great habitat for coastal brown bears in spring and summer, in places like Kukak Bay, Katmai National Park, Alaska. Please click on the image above to view a larger version of this photo. Getting ready to leave soon for another trip to Katmai National Park, after a busy summer hiking and backpacking. I’m excited, as always to head to Katmai and photograph the great coastal brown bears down there. This photo was taken in June on the Coastal Brown Bear Photo Tour. A beautiful young brown bear, maybe 4 or 5 years old, in nice, soft light. This fall we have 2 weeks of trips, with a few returning guests, as well as a number of people coming out for their first Alaska trip. After that, I have a week scheduled to photograph in the Arctic, then the summer/fall season will be over for me, and it’ll be time to catch up on website updates, etc, and planning for 2013. The aurora borealis photo tours have generated/are generating a great deal of interest, so that should be a fun time in the spring. Oh, that and some fun skiing/snowboarding of course. 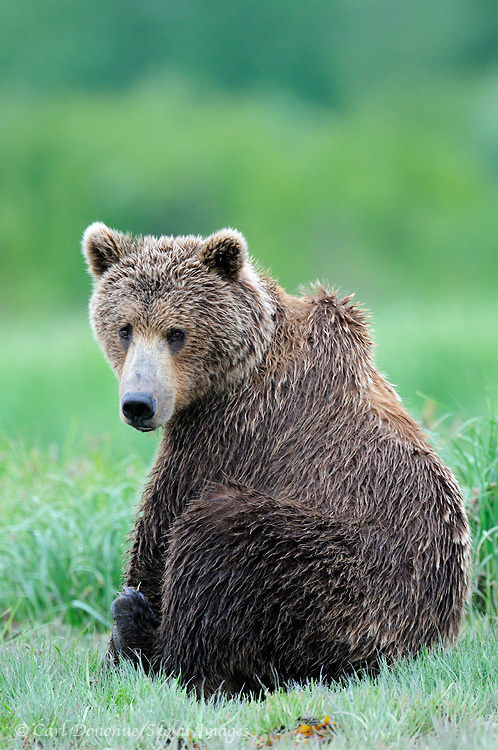 This entry was posted in Adventures, Alaska, Grizzly Bears, Katmai National Park, Photo Tours, Wildlife and tagged Brown bears, Katmai National Park on September 13, 2012 by Carl D.